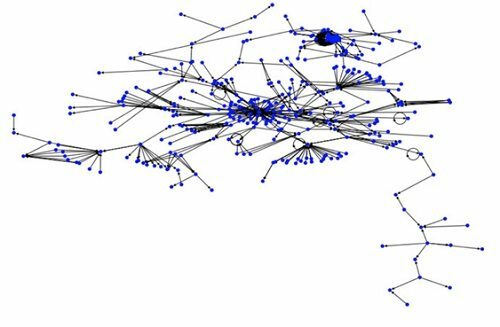 Users of social media in the campaign for Scotland’s independence have been very active, and those who would vote “yes” for independence have been far more active than those who oppose it. 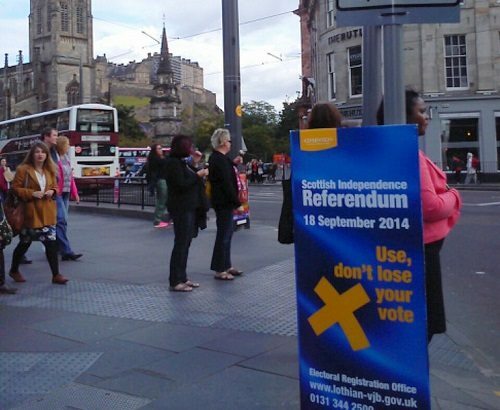 Research indicates that there were around 275,000 interactions each day related to the referendum over a five-week period, and a large majority of them were from Scots. As for the differences, one example is that although polls suggest that the vote will be very close, the official “No” campaign page has 207,033 Facebook “likes,” compared to the “Yes” campaign’s 300,000. 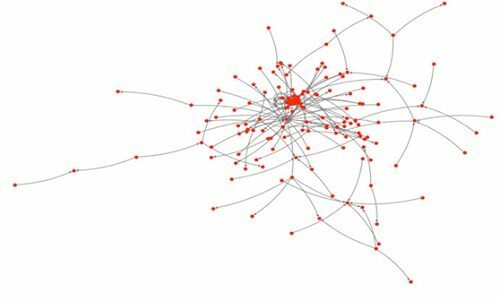 Twitter visualization showing networks of users using #VoteYes hashtag. On the other hand, those using the hashtag #VoteNo were less likely to share other content on Twitter or to retweet messages containing the hashtag.